Stand – €30 (Unreserved seating except for Section C & D). Students & OAP’s – Full price must be paid. Group Tickets – €30 for a group of 10 juveniles & 1 adult. (available through the Connacht GAA Council Office). Refunds of €10 will be paid to OAP’s & Students, (with current ID cards), for Stand, Sideline seating and Terrace at Designated Stile only, (Turnstile #6 and #18). Address: McHale Park, Castlebar, Co. Mayo. Address: Pearse Stadium, Salthill, Galway. 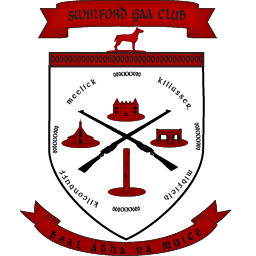 Address: Pairc Sean MacDiarmada, Carrick-on-Shannon, Co. Leitrim. Tickets also available from clubs in the competing counties.